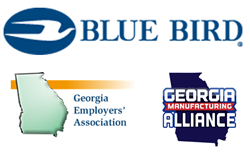 The Georgia Manufacturing Alliance partners with the Georgia Employers’ Association for upcoming training events and tours beginning with a tour of Blue Bird Manufacturing in Fort Valley, GA on July 22nd. 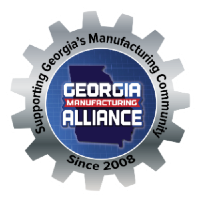 The Georgia Manufacturing Alliance (GMA) is pleased to announce a new partnership with the Georgia Employers’ Association (GEA) that will allow members of both organizations to participate at “member rates” for upcoming training events and tours with GMA. Our first event, scheduled on July 22nd, is a tour of Blue Bird Manufacturing in Fort Valley, GA. The plant tour, immediately followed by a Lunch n Learn event in Macon, will include the official GMA Central Georgia Chapter launch and an opportunity to learn more about both organizations.